When and How Often are Rabies Shots Given? If you own a dog, very likely you are aware of the fact that by law you must give your dog a rabies vaccination. How often you must give the vaccination varies depending on your dog's age and local regulations. Local regulations may be stricter than state laws; therefore, it is important to do good research. In some states rabies regulation is up to local animal control ordinances. Generally, a puppy receives the first rabies vaccine once it is at least 12 weeks to 16 weeks old. At this time, the puppy is given a vaccination valid for only one year. Afterward, once the puppy is two years old, the puppy may receive a three year vaccination for rabies depending on the state. There are still a few states that require yearly rabies vaccinations. Vaccinating your dog against rabies if something you need to do to comply with local laws, but there are many things dogs owners must know about the vaccination. Following are some unknown facts about the rabies vaccination. Among the various vaccinations dogs receive, the rabies vaccine has the highest rates of side effects. Indeed according to veterinarian Jean Dodds “Rabies is the vaccine most associated with adverse reactions because it’s so potent." The side effects may range from mild to even life threatening. Anaphylaxis is a serious life-threatening reaction which may occur within minutes after administering any vaccine. 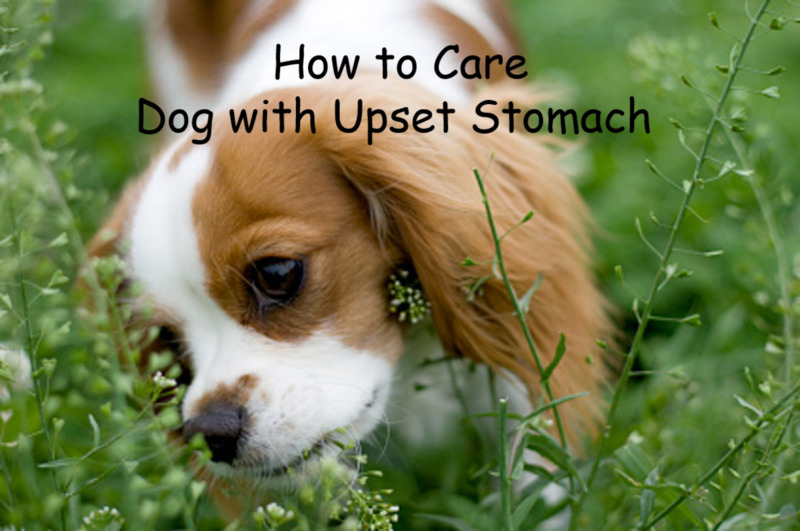 Affected dogs will exhibit respiratory problems, shock and cardiac failure. 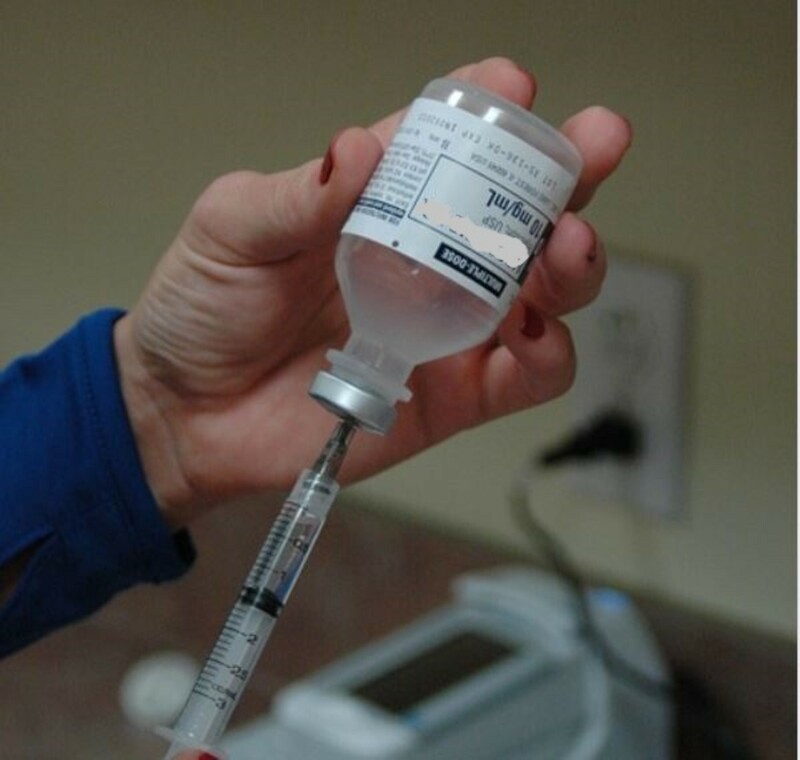 Because treatment requires an immediate injection of epinephrine, it is a good idea to stick around the vet clinic for at least half hour in case of some adverse reactions. Other potential signs of trouble which can develop within hours are vomiting and diarrhea, hives and facial swelling. If any of these signs occur, return your dog to the veterinarian immediately! Because of the risk of adverse side effects it is recommended to keep an eye on the dog the first hours following vaccination and a few days afterward. It may be a good idea to avoid having a dog vaccinated on a week-end when vets are likely to be closed on Sundays, and in the evening when the clinic will be closed for the rest of the day. Much more common in dogs are localized reactions affecting the injection site. 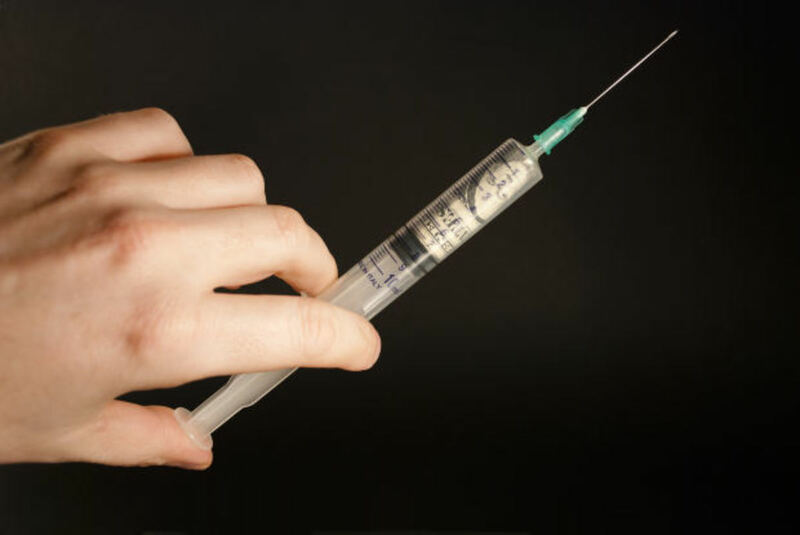 Pain at the injection site causing soreness is quite common and may be present for about 48 hours. Small dogs may be particularly sensitive and may not wish to be touched or picked up. Some may appear tired and may refuse food. In this case a call to vet is recommended; the vet may give directions on baby aspirin doses for temporary pain relief for dogs. *Note: cats should never be given aspirin or other OTC pain relievers. Some reactions may even occur up to 45 days later. Fibrosarcoma, a form of cancer, can occur at the injection site. Have your dog seen if you notice any abnormal swelling at the injection site. Other problems include autoimmune diseases skin problems and behavioral problems. Because the rabies vaccine contains a neurogenic protein it affects the nervous system and may even cause seizures. 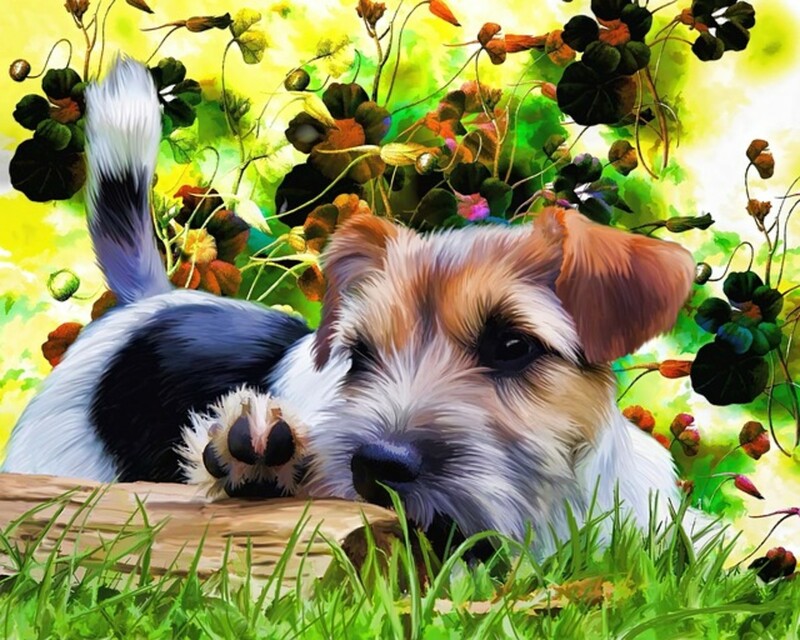 Many adverse reactions in dogs occur several days post-vaccination and are not reported because no connection between the vaccination and the illness are made. This causes many vaccine reactions to go unreported. Regardless of the level of reaction your dog has, it is important to let the vet know. The vet will put a note in the dog's chart so next time some precautionary steps can be taken. For mild reactions, your vet may prescribe some Benadryl to give right prior to the shot to prevent unwanted reactions. In more severe cases, it is important to report the reaction directly to the manufacturing company and have the vet document the treatment in the dog's medical history. Some states allow dog owners to apply for dog rabies vaccine exemptions if there is enough medical data to support the case. Ronald Schultz, professor of pathobiological sciences at the School of Veterinary has studied the immune response to vaccination in dogs for several years, and his findings suggest that pets are being over vaccinated. The duration of immunity was found to be by far superior than a year in many core vaccinations, making yearly vaccinations futile and unnecessary. According to the Rabies Challenge Fund a French study conducted in 1992 revealed that dogs showed immunity to rabies for five years following vaccination and Dr. Shultz's serological studies demonstrated immunity to rabies even seven years post vaccination! As a consequence, the Rabies Challenge Fund is attempting to extend the interval for rabies vaccination boosters to five, and possibly seven years. The fund accepts donations for its study from kennel owners and private individuals who are passionate about the issue and wish to contribute.All donations to the fund are tax deductible. The Rabies Challenge Fund was created by Kris Christine following the death of her beloved Labrador retriever. Her dog died following a cancerous mast cell tumor developed at the injection site. She helped advocate three year rabies vaccination law in several states. A study conducted by the Canine Health Concern in 1997 found that 4,000 dogs developed mobility problems shortly after being vaccinated with the rabies vaccine. The dosage for a rabies shot is the same regardless if you own a cat, Chihuahua or an Irish Wolfhound. No wonder why small dogs are more prone to side effects! If you own a wolf-dog hybrid most states do not recognize a rabies vaccination for them. Learn what your local regulations are and inform yourself about bite situations. The state of Hawaii is a rabies-free state which has strict quarantine laws. If you are moving to Hawaii you must plan ahead to ensure your dog abides to their regulations. No pet should be vaccinated with rabies if sick. The labeling clearly indicates ''for the vaccination in healthy cats, dogs and ferrets." The rabies shot should ideally be given separated from other vaccines. 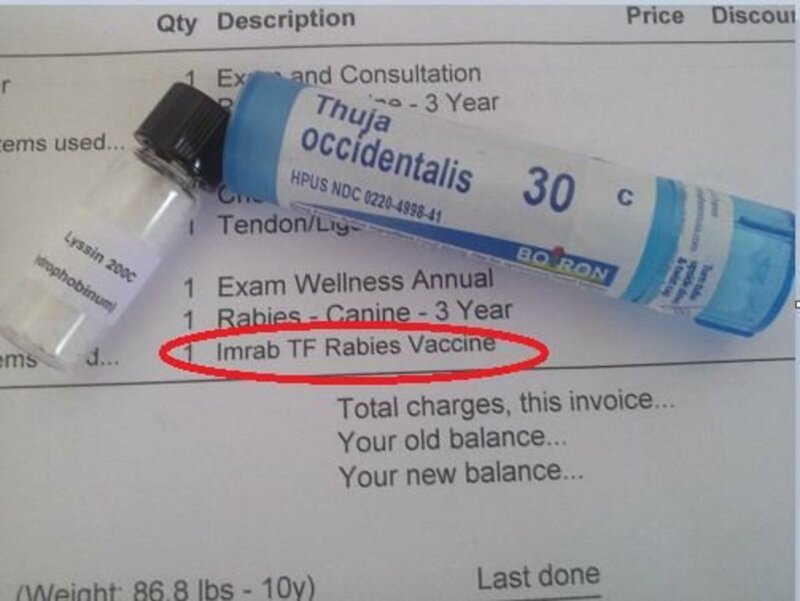 ImrabTF is a rabies vaccine that doesn't contain thrimerosal, a type of mercury that was taken out of most of the vaccines for young children in 2001. Dr. Jean Dodds recommends thuja and lyssin as part of a rabies vaccine detox for dogs. Should your dog bite somebody, the rabies vaccine is the first thing required. Disclaimer: this article is fruit of my research and not to be used as a substitute for professional veterinary advice. By reading my articles you accept this disclaimer. Does your dog have reactions to the rabies vaccine? Great article. Thanks for the info, you made it easy to understand. BTW, if anyone needs to fill out a NASPHV Form 51 Rabbies Certificate, I found a blank form in this link http://goo.gl/5YzyX4. This site PDFfiller also has some tutorials how to fill it out and a few related forms that you might find useful. I look forward to reading the hub, thanks for spreading the voice! Yes! my dog developed a mast cell tumor at the site of her last rabies vaccine. I am writing a hub right now about the exemption in the rabies vaccine law that most people don't know about. Thank you! I worked for a vet years ago but do continuous research to keep up to date with the latest dog health updates. Very informative page. I must you have great knowledge about dogs. I took my dog for a vaccination and read up on it afterward. It bothers me that the clinic I went to doesn't advise people to stick around for 30 minutes. It also frustrates me that the government doesn't require more accountability by the manufacturer. 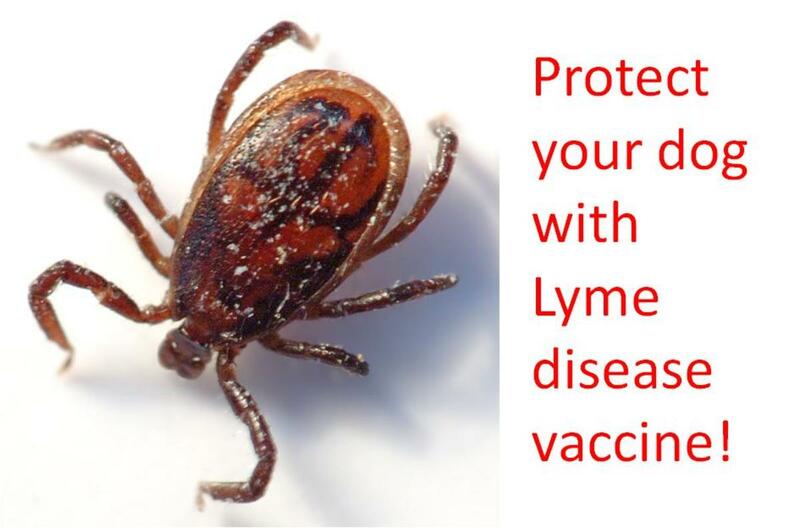 If you require a vaccine, then they must do everything they can to be safe. But instead, they feel they have a pass to rake in the money. Thank you, my cat used to get really sore afterwards. My two dogs do just fine usually. I can see how smaller dogs and cats can get more side effects due to being given the same rabies shot dosage. My dogs have never had a problem I did not know that there was a problem I am glad you wrote this to inform us. Did you dog have a reaction to the rabies vaccine? Upset about the duration of immunity issue? Have a question or wish to share your story? Post it here!